Email has become an integral part of our digital lives today.There are a plethora of messaging apps available on the internet, many of which promise to redefine communication with the use of emojis, sticker packs, and a whole lot more. But no matter if you’re an individual, team, group, or a large organization, email is something everyone uses. However, the volume of email that everyone has to process has increased exponentially over the last few years. An average internet user receives many different kinds of email, ranging from personal and work emails, period newsletters from the services they use, product updates from companies, offers and deals from online stores, and those occasional “fwd: fwd:” forwards from family members. With all this sheer volume, it’s very common to see a large number of users lacking the basic email etiquette required when it comes to email. A number of times, these users will compose emails that suffer from embarrassing typos and easily avoidable errors. Often, these users compose professional emails such as job applications or leave requests without knowing what they’re doing wrong. As such, it is important to fully understand how to write business email and the underlying rules of email etiquettes in this digital age. The subject line is the most important component of an email. It’s what the recipient sees before they can start reading your email and is meant to be a descriptor of your actual email content. So it’s a good idea to keep your email subject short and to the point. Try to summarize what you’re conveying in the email in around 5 words. For example, if you’re emailing an update to your team that the scheduled meeting this evening has been postponed by 2 hours, using a subject line such as “Meeting Time Changed” instead of “Meeting Update” is a far better idea. The spell-check tool is an incredibly useful feature that is not only available for free today, but even comes pre-integrated with most OSs and email apps. Many apps will automatically underline words in RED if there are any typos, and you can use services like Grammarly to get better at the English language. However, do not blindly rely on spell-checks. We recommend reading all emails and replies you compose, especially the ones longer than two sentences, at least twice. It barely takes less than a minute, but goes a long way in finding any typos and misspellings that a spell-checker won’t catch. Spark for Teams allows you to draft and collaborate on an email together with your team members. 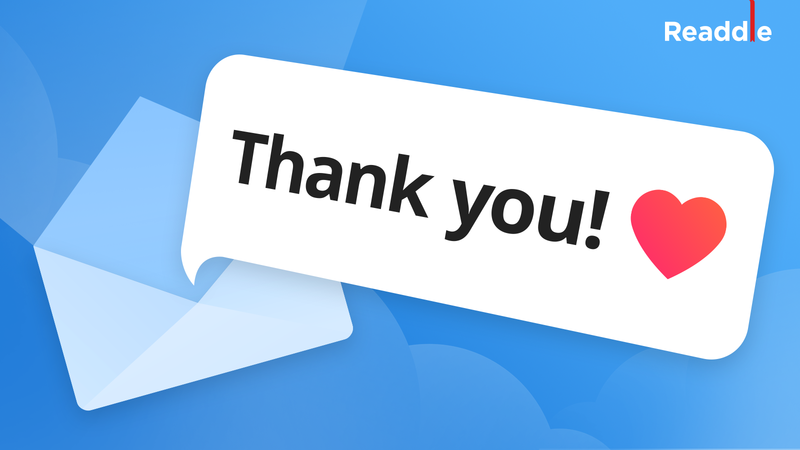 Your teammates can create an email together, in real-time, so even if you make typos, your colleagues have your back. Most email users are unaware of the true usage of the CC and BCC options when composing an email. You’ll often find yourself at the receiving end of an email that has 50+ recipients CC’d in the email, where the sender has no concern about anyone’s privacy. Remember, the CC (Carbon Copy) option is best used when you want to send an email to someone while keeping others in the loop, such as when sending a quotation to a client while keeping your boss in CC. It’s important to understand that when using the CC option, everyone involved in the email can see who’s been CC’d, and it’s a good practice to only CC those people who are involved with the contents of the email. On the other hand, the BCC (Blind Carbon Copy) option must be used when you want to email a bunch of users, but don’t want them knowing who else is involved in the email. This is great for when you are emailing the same content recipients who don’t know each other. As a general rule of thumb, always pick the BCC option unless you’re absolutely sure that CC is better suited for an email. That said, both the CC and BCC options are from the traditional era of email clients and there are much better tools and options available today that go beyond the abilities offered by these two options. 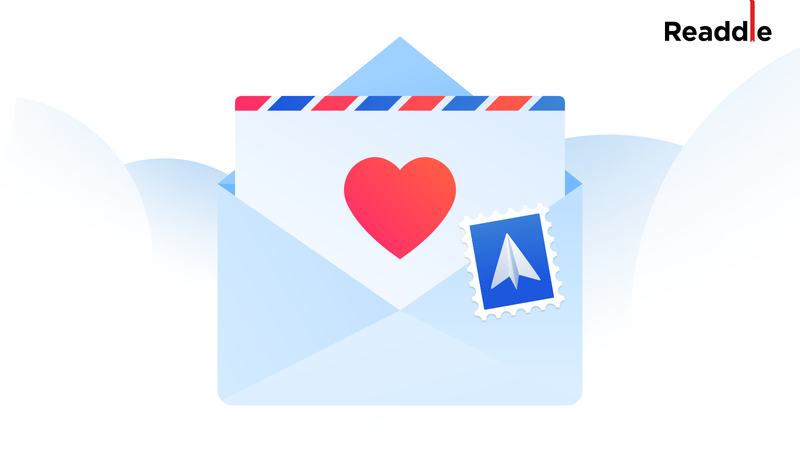 With Spark for Teams, we’ve built in special features that make it easy to share emails with your team members. Spark allows you to share access to an email directly with specific people on your team, so that they’re kept in loop. Unlike CC & BCC where you create a copy of an email thread, emails shared with Spark for Teams update in real time, so everyone can know when an email is replied to. This way, you don’t need to worry about CC’ing or BCC’ing an email again. The file sizes of the different file formats in use today have increased quite a lot in the last few years, especially when it comes to high-resolution images and videos. That’s why, it’s never a good idea to inundate someone’s email inbox with too many attachments. Not only do you risk your email bouncing due to limits, but it may also happen that the recipient has no space left in his account. Instead, we recommend using online storage services such as Google Drive or Dropbox to host your files and share links to them via email. This way, the file is also not duplicated on both your accounts. 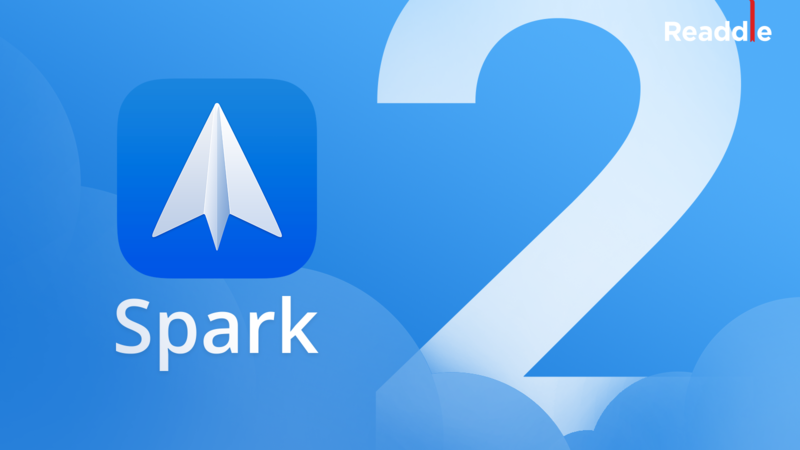 With Spark, you have access to all the popular cloud storage services, so you can not only save incoming attachments to the cloud, but also send emails by attaching files from any of the integrated services in Spark Mail app. It’s important to understand how to introduce yourself in an email and how to start a professional email with the right salutation, especially when you’re emailing someone for the first time or for professional reasons. We recommend sticking to the “Hello ,” or “Hi ,” professional email greetings for most emails, unless you know the recipient well enough to go with “Hey” or “Yo”. In most cases, if you’re emailing back and forth with the same recipient, you can even drop the ‘Hi’s and ‘Hello’s after a few replies. Similarly, it is just as important to understand how to end an email professionally. When writing in a professional email format, you need to be careful about your professional email sign off, as making a mistake there will not just lead to your email getting ignored, but also might result in the recipient getting disinterested in emails from you. Email overload is already a major issue for most users these days and no one wants to read or process email that isn’t intended for them. Our smartphones, tablets, and computers can go crazy with notifications about the same email, and it’s critical that we get some email sanity. As a result, you should always be careful when you use the Reply All option. If you have just received an email that has multiple people in the CC field, take a moment and consider whether your reply will be relevant to them. In most cases, your email response is only intended for a single person, like a question about something mentioned in the previous email. In such cases, just use the ‘Reply’ button instead of ‘Reply All’. Many times, often in a work environment, you’ll need to forward an email to someone who wasn’t part of the original email chain. They may need to copy some information from the email, or view something for reference. In such cases, it is a good practice to clean up your email before forwarding it to someone. Pay special attention to any sensitive information mentioned in the email history that you don’t want others to see and manually delete it. Remove any “Fwd: Fwd: Fwd:” characters from the subject line, and redact any private information such as client addresses, phone numbers or email addresses. When you get an email from someone, that person expects to receive a response from you in a timely manner. While we don’t recommend replying to an email in a haste, as that often leads to unintended consequences, it is a good idea to not keep emails pending for too long. Not only does it keep the other person waiting, it also clutters up your inbox unnecessary leading to more email overload. If you need to take time working on someone before you can respond to a sender, we recommend sending a quick email reply saying that you’ve received their email and will respond once you are ready. On the other hand, as a sender, you should use Spark so that it can notify you to follow-up with its reminders feature. Email is just a block of text that is transmitted from one computer to another. Any email can be accessed from any device, anywhere in the world. Keep this in mind when you’re sharing any kind of content with someone via email. It’s very easy to just forward that email to someone, or it “leaking” within an organization (we’ve all heard those stories, haven’t we?) and many email apps will download attachments by default to a computer. If you’re in a shared space or at work, it’s best to keep any confidential and sensitive data away from email as much as possible. Think of your email inbox as your desk at work. Your emails are like the physical paper files that you work with. The files that you are currently working on stay on your desk, so they are easily accessible when you need to refer something or file something new in them. The files for projects that you are done working on are moved to the storage cabinet, right? We recommend looking at your emails in the same way. The emails that you are done reading and responding to, or don’t need to bother with again (such as email newsletters or purchase confirmations) can be “Archived”, i.e. moved away to a different section and making space for new ones. This way, your email inbox stays clutter-free and you can focus on the emails that are pending. 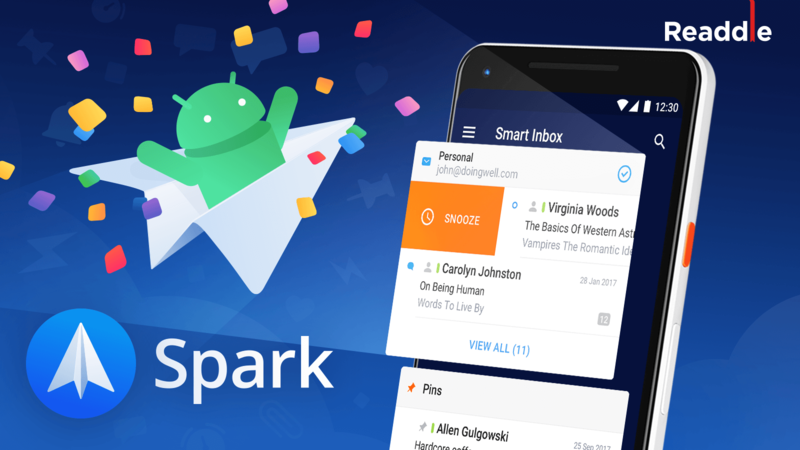 Along the same lines, Spark offers additional functionality such as the ability to Snooze emails temporarily, i.e. moving them away to a different section for a set time period. This is great for emails such as renewal reminders and bill payments that aren’t due for a few days later. People always make fun of the comic-sans font in emails, and rightly so. It is considered a good practice to keep colorful text and non-standard fonts away when composing an email. We recommend sticking to the default font options and text color largely in black, with any of primary colors (Red, Green, Blue) used for highlighting certain words. Of course, that’s not to say that you shouldn’t format your emails at all. In fact, formatting is very important. Make generous use of line breaks and paragraphs when sending long emails. Use bold & italic text where necessary, and give headings to sections — basically all things you’d typically do in a document. Remember, emails should be easy for the recipient to read. If they have to take extra efforts to read your email, you’ve already lost their attention. We’ve kept the most important point for the end, and that’s to double-check the recipient. With auto-complete features and an ever-extending address book, it’s easy to mix-up recipients and to end up sending the wrong email to someone. To avoid this, we recommend filling out the To: field after you’re done composing and formatting your email. This way, you also don’t mistakenly hit the Send button or shortcut and send an email away with less than half the text that you actually wanted to send. Remember, email is still a core tool of communication across the internet, so it’s important to take it seriously. We hope these 12 tips are helpful to you when you start composing your next email. Did we miss anything?